In speaking with the assembled Norco staff, Factory team riders, and other journalists at the 2013 Norco Press Launch, the buzz in the air was the introduction of two 650B models. 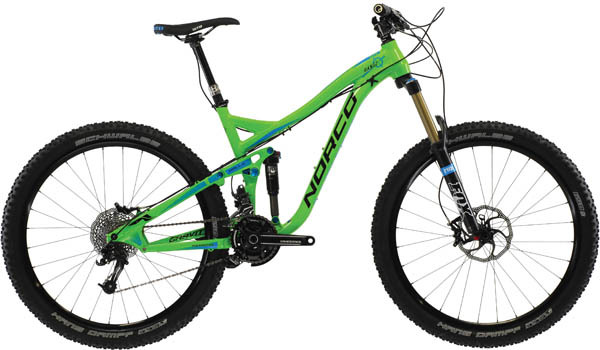 That’s not to say Norco hasn’t made other improvements to the rest of their line (they offer 176 models to be exact), but they have definitely jumped head first into the 650B category. 650B (or 27.5" to some) is nothing new; the wheel size has been around for ages. It’s just taken a while for it to become legit. With minimal choice in rims, tires, and forks, this ‘new’ wheel size has been hovering on the fringe of an industry drunk with everything 29er. 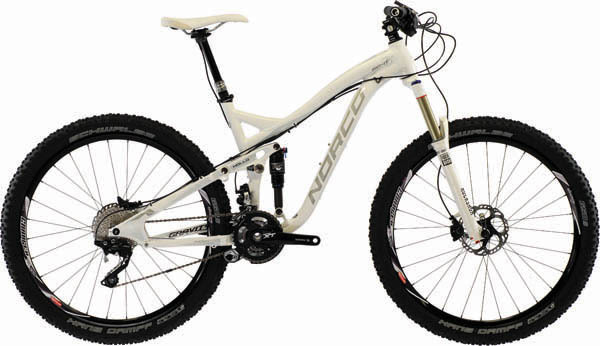 This all changes for 2013, as manufacturers like Fox, Rock Shox, Stan’s No-Tubes, and Maxxis, to name a few, are finally making 650B specific components. And, with that, it seems those manufacturers who arrived late to the 29er game seem determined to not miss out on the emerging 650B market. Norco has always been on the forefront in bike technology. It’s no surprise that they would include a 650B model for next season. What I wasn’t expecting was the commitment they’ve made to this wheel size. They are so confident in the 650B market that they’ve transformed the ever-popular 160mm travel Range (one of my favourite bikes to date) into a 650B only option. On top of that, their award winning trail bike, the 140mm Sight, is available with either a regular 26" wheel or 650B; together, Norco calls them the Killer-B’s. 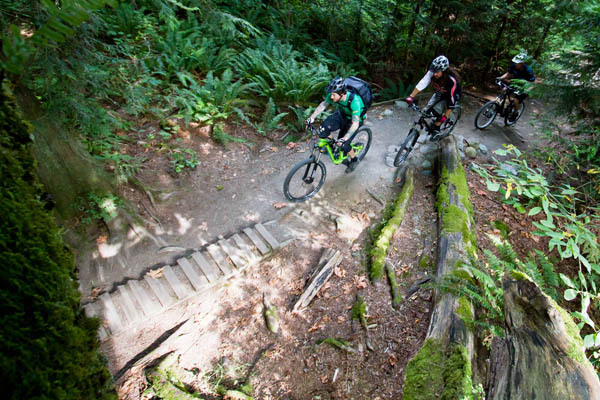 Part of the 2013 press launch obviously included the chance to test these new bikes and the location choice couldn’t have been better, Vancouver’s North Shore. By capitalizing on technologies that have proven themselves in their XC, Trail, All Mountain, and even their DH programs, the Killer-B’s represent the best of everything that Norco MTB’s have to offer. 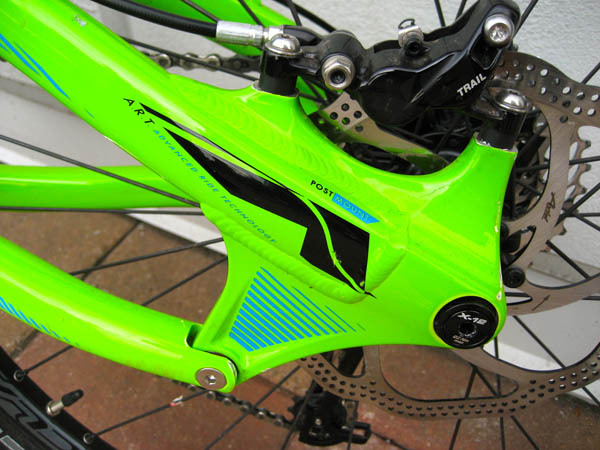 A stand out feature is Gravity Tune geometry, which was introduced in 2012 on the their Aurum DH bike. 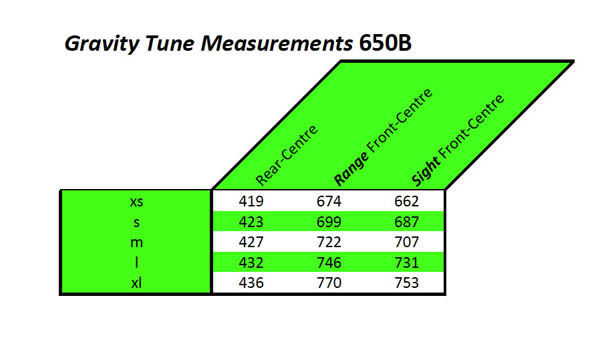 Gravity Tune is a fixed rear-centre/front-centre ratio that is held constant across all frame sizes. That is to say, the chainstay lengths are size-specific, which tends to keep the rear wheel tucked under you for better traction and control. This might not sound significant for those that ride bikes in the middle of sizing ranges, but for those of us that fall on the fringe of bike sizes (XS and XL) this means a whole lot. I immediately noticed how balanced the bikes felt under me. The engineers at Norco are clever, and it leaves you to wonder why this never happened years ago and why other manufacturers haven’t followed suit. 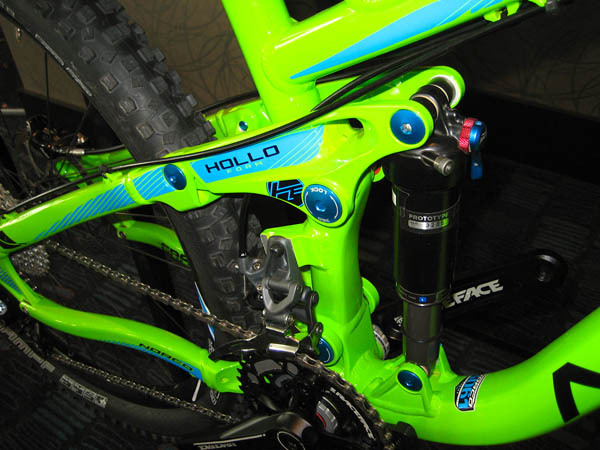 Also featured on the Killer-B bikes is Norco’s Advanced Ride Technology (ART) suspension platform. It’s a time-proven suspension design that handles square-edge bumps like they don’t exist, it pedals like a XC bike, and the Horst-style linkage keeps the braking completely active through rough trails and blown-out berms. To the unassuming eye, both the Range and Sight Killer-B’s appear to be pretty standard MTB’s. But, their beauty certainly lies in their details. One of these unassuming details is the Holloform Link Arm. The link arm is the key to a symbiotic relationship between the front and rear end of the frame. It’s a one piece linkage designed to add rigidity to the seatstays while at the same time, because of it’s inherent stiffness, keeps the rear shock tracking straight. I can vouch for the lateral stiffness, as both the Range and Sight had no noticeable side-to-side sway. 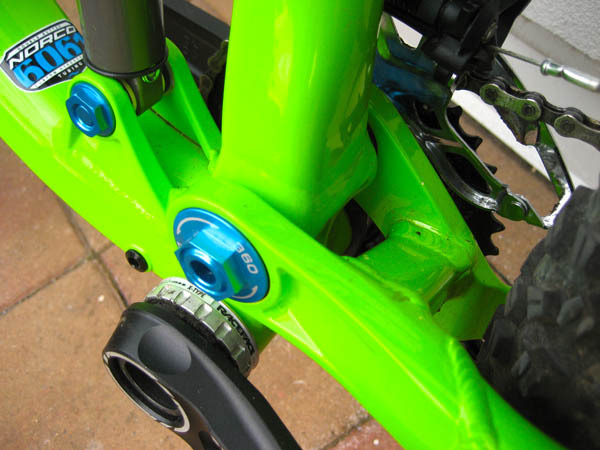 Norco also boasts that the Holloform linkage increases shock life as it reduces torsional flex on the shock. Time will tell on that one, but out on the trail there I couldn’t sense any flex when pushing hard on the pedals. I don’t have any prior experience with 650B bikes so I wasn’t sure what to expect from the middle wheel size. Will the larger wheel be noticeable, will the XL frame size feel long (like most 29ers I’ve ridden), will it roll over roots and rocks with ease, how hard is it to get off the ground? These are all questions I asked myself and, after pouring over the geometry tables, I thought I had idea of what to expect. After my first test ride my questions were answered, but not necessarily in the manner I was expecting. Both bike models felt like regular MTB’s. There was no discernable difference in how the Killer B’s felt under me when compared to smaller wheels. Norco has managed to maintain similar wheelbase lengths (within a few millimeters) to their 26” counterparts. In fact, on the smaller sizes the wheelbase was actually shorter. They also managed to maintain similar BB heights. Ultimately, both bikes were really fun to ride. Never once did I feel like I was riding a limousine; the wheels rolled over reasonable size rocks and roots with ease, and it was really easy to flick them around corners, rip them through berms, and get them off the ground. I’m not going to comment on whether we actually need a third wheel size for MTB’s. I’m also not going to comment as to whether 650B is better. What I will say is that both bikes rode great, the suspension does exactly what Norco boasts, and I would definitely consider 650B if I was shopping for a mid travel trail/all-mountain bike. Is the middle wheel size a ploy for the marketing departments to sell more bikes? Perhaps, but I wouldn’t discount bikes like the Killer-B’s. It’s all about having fun and I had a blast riding both of these machines.